St. Charles would certainly not be the place one would expect a quality bowling alley due to their lax smoking laws and hickish reputation, yet I was pleasantly surprised upon walking into the Plaza Lanes Bowling Center in St. Charles. Some friends of mine had a coupon for two free games there, which is why we ventured so far. The lanes were by far the cleanest and most modern in St. Louis and it certainly doesn’t hurt that everyone got personal bests there; I bowled a 202! 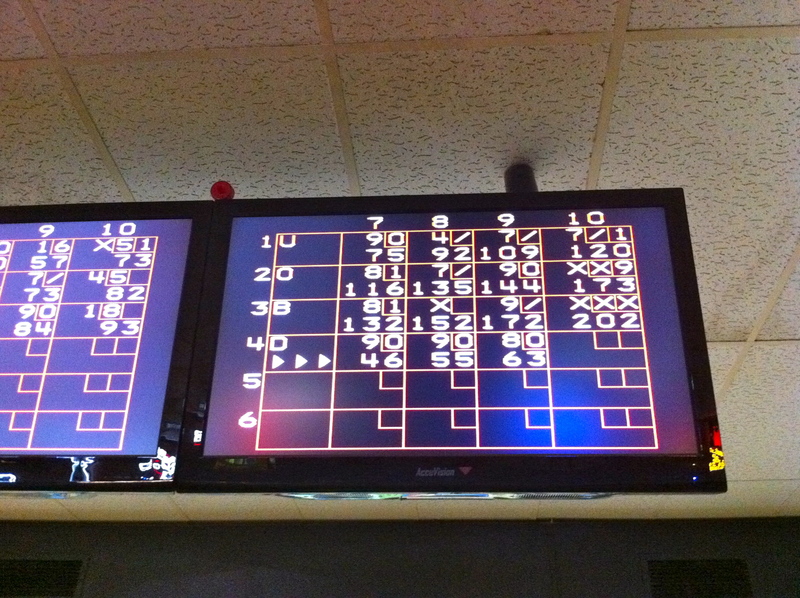 Proof that I bowled a 202!